Sansa really should have had Brienne kill Littlefinger. So many people would be so much happier for it. Poor Arya, having to relive her father’s horrific death so that others can have a laugh. Lady Crane is far too nice to ever be able to play Cersei. She would have to be the world’s greatest actress. I would watch a whole series about the war between the First Men and the Children of the Forest. I’m sure it was a fascinating time. I’m so glad Yara and Theon managed to get away with most of the ships. Yara deserves to be ruler of the Iron Islands. This scene between Daenerys and Jorah is so touching. They’re reunited and now they immediately have to part ways again. So we’ve got one red priestess toting Jon as the Prince That Was Promised and another claiming Daenerys is the same. Too bad there’s only one Iron Throne. Bran, your curiosity is going to get you killed one day. We just lost Shaggydog, and now Summer’s dead too. I really hope Ghost makes it through the end of the series. Poor Hodor! 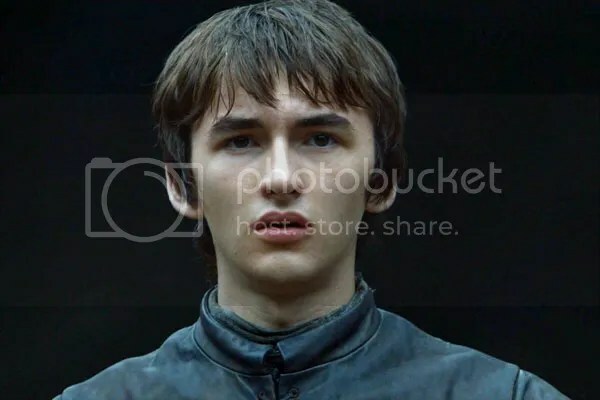 Bran didn’t just cause his death, he ruined the poor guy’s life. I’m gonna sit here and have myself a good long cry now.